At the turn of the 19th century, two legendary French inventors – the Lumière brothers – combined potato starch and soot to give us a glimpse of the early 1900s in color. In 1907, Auguste and Louis Lumière pioneered a commercially viable color processing technique called 'Autochrome Lumière'. Instead of hand-painting imagined color on to film overlays, the Autochrome, for the first time, was able to capture real-world color in a portable and affordable way. Recognizing the value, National Geographic immediately commissioned their photographers to shoot with autochromes on various documentary projects. 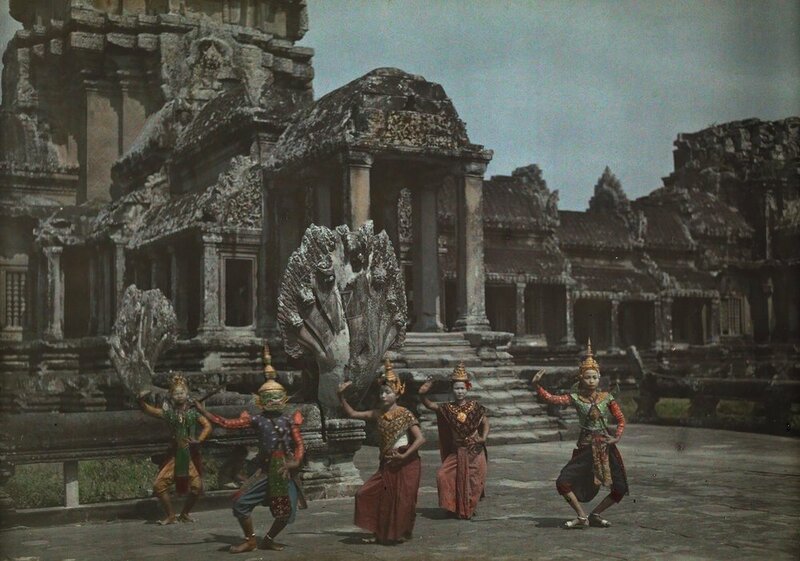 In 2010, National Geographic Society's archivist Bill Bonner gave NPR a guided tour through the 15,000+ glass plate autochromes, giving the public a window into these never-before-seen images and the surreality of the not-so-distant past. 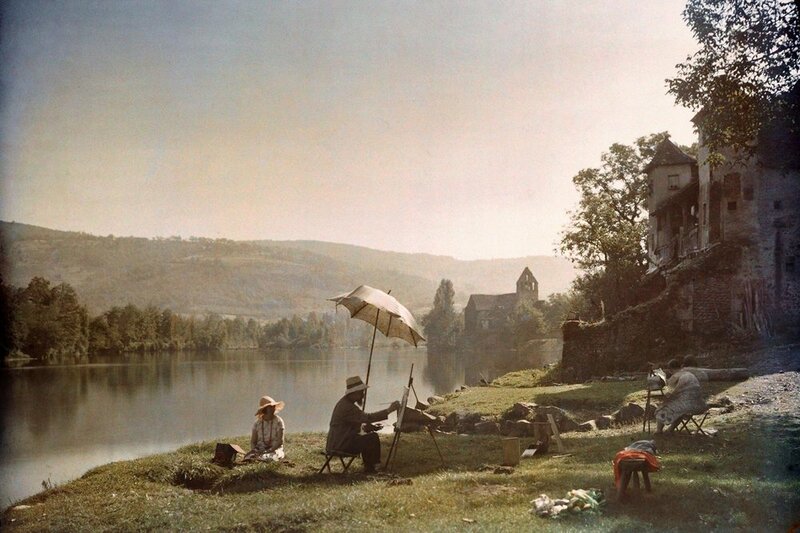 Artists paint on the banks of Dordogne River near Beaulieu, France, in 1925. Look closely at the above photo and you'll see what looks like ISO noise or saturation banding. This hyper-colored pigmentation and grain is actually an analog effect, created by the potato starch used to develop the photographs. Autochrome is an additive color 'mosaic screen plate' process – meaning that to create the color photo, the light passes through a glass plate coated with potato starch dyed red-orange, green, and blue-violet. Depending on the exact chemical structure of the starch grains and the color values in the real-world image captured, the color profile of Autochromes could range from true-to-life to psychedelic and stylized. Some photographers, like Arnold Genthe, leaned into the technical imperfections of the Autochrome to create hazy and dream-life imagery. This processing method reigned supreme for the next 30 years, but by 1938, photographers had shifted to Kodachrome. But as striking as Kodachrome was, it could never replicate the dreamy and painterly aesthetic of the Autochrome. Scroll down to view the rest of the Autochromes from the turn of the century. This photo of a woman sitting on the edge of a sea wall at a harbor in Tampa, Florida, appeared in the 1930 National Geographic article "Florida—The Fountain of Youth."